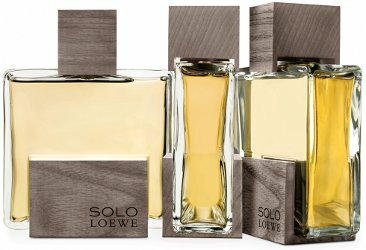 Spanish house Loewe has launched Solo Loewe Cedro, a new fragrance for men. Solo Loewe Cedro is a flanker to 2004′s Solo Loewe. True to its crafted and innovative legacy, SOLO LOEWE has been inspired by wood to design its latest olfactory creation. A material that is natural and noble, the leading material in the world of art, architecture and design. SOLO LOEWE CEDRO is an Eau de Toilette created for a man looking to experiment with the discretion, authenticity and nobility of this raw material. A woody, spicy fragrance, made up of opposing chords full of contrasts but perfectly balanced, characterised by a great composition of woods. The first wood by LOEWE. The notes feature tangerine, petitgrain, pink pepper, nutmeg, mate tea, basil, lavender, Virginian cedar, guaiac wood and ambergris. Loewe Solo Loewe Cedro is available in 50 and 100 ml Eau de Toilette.